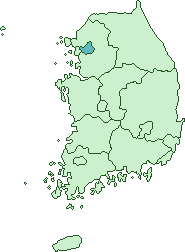 'S e prìomh-bhaile Coirea a Deas a tha ann an Seoul (IPA:sʌul). Tha e na laighe air bruach Abhainn Han ann an àirde an iar-thuath na dùthcha. Eadar 29mh den t-Samhain 1394 is 1948, b' e Seoul prìomh-bhaile Choirea gu lèir. Air a tharraing à "https://gd.wikipedia.org/w/index.php?title=Seoul&oldid=497081"